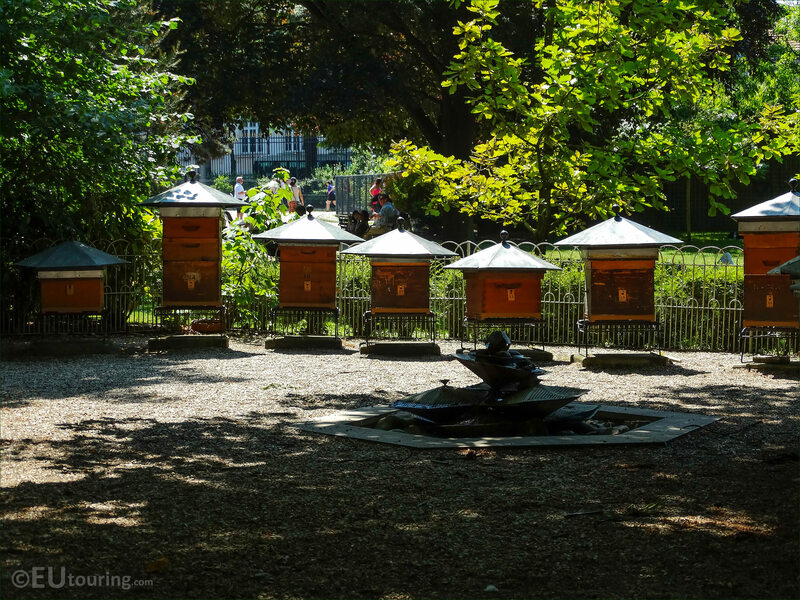 Bees are thriving in Paris and within the Jardin du Luxembourg in the 6th Arrondissement of Paris you will be able to discover bee hives at the bee house along with a school for beekeepers. Now a bee house with several beehives is called an apiary, and this first HD photo shows the apiary at the Luxembourg Gardens, which has over 20 hives, and the first beekeeping school was founded here back in 1856, but vanished ten years later, then restored again in 1872 in the same location as you can find it now. 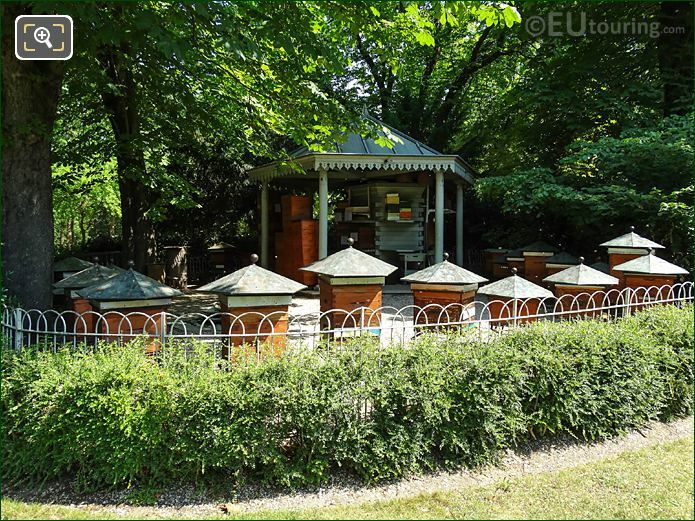 Here you can see some of the hives, which have a colour code on them not just for human benefit, but the bees will associate with these, so that they go back to their specific hive, and although these are the modern beehives, there are historical ones called skeps preserved within the Pavillon Davioud, which is where the beekeepers office, the school and the honey extraction centre are located. 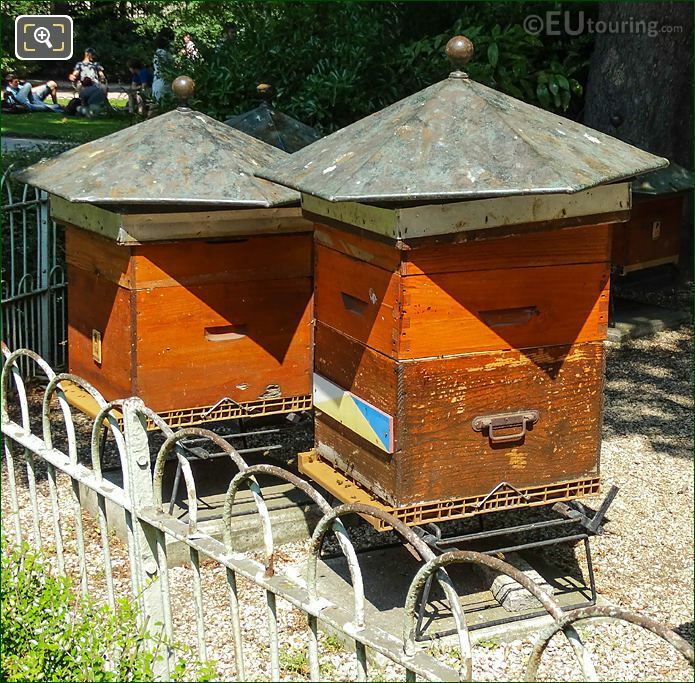 And this is a close up photograph showing a couple of the beehives with the bees going in and out, and you will find this Apiary, or Rucher in French, located in the south west part of the Jardin du Luxembourg close to the Rue d'Assas. 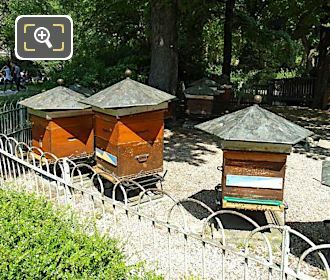 Yet this next image shows the bees in more detail flying back to one of the modern hives, and each year there is a honey festival held within the Luxembourg Gardens where people can purchase the artisanal honey, although the quantity is limited to one pot per household, due to the limited supplies available. 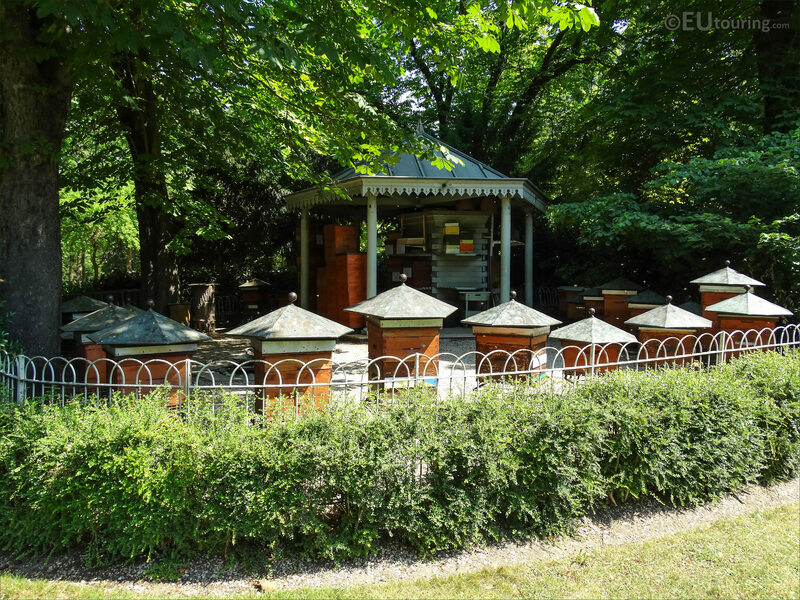 But not many people realise that bees do need water, and here you can see a water fountain in the same style as the beehives, designed specifically for the bees, which is located in the centre of the enclosure, with all the hives surrounding it, and something else you may not have realised is that the bees are thriving in Paris due to a policy of not using pesticides within any public gardens or parks. 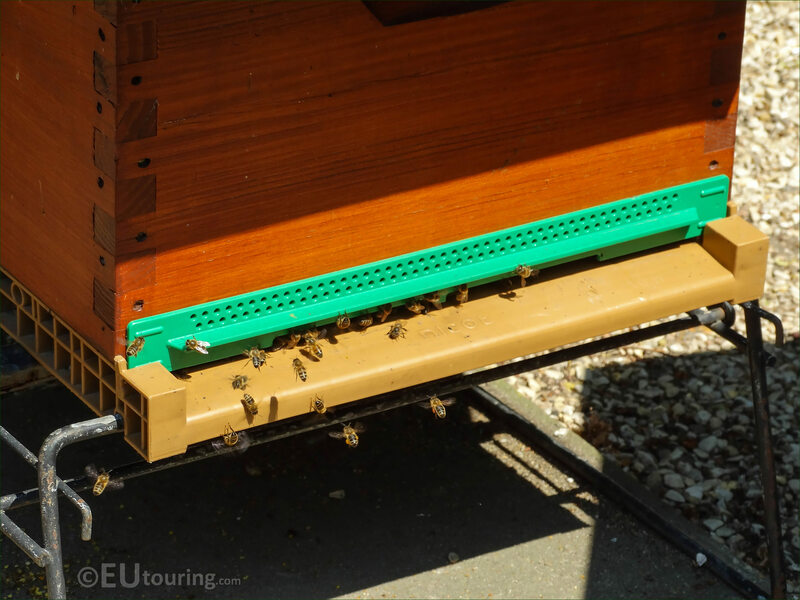 And in this photo you can see some of the wooden supers stacked up within the bee kiosk, and a honey super is actually a box that is placed on the hive with frames of comb to collect the honey, and just so you know, Miel is the word for Honey in French. 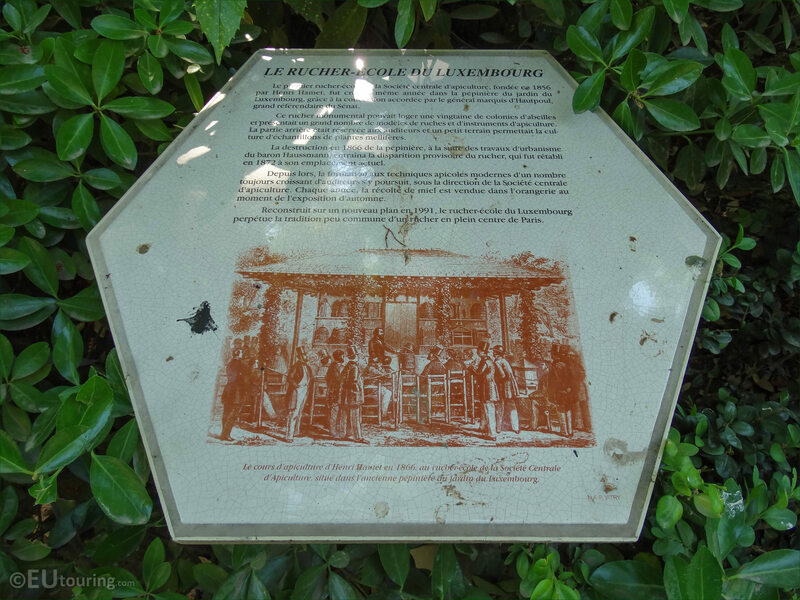 The first apiary-school in the central beekeeping company, founded in 1856 by Henri Hamet was created the same year in the nursery of Jardin du Luxembourg, thanks to concessions granted by the General Marquis d'Hautpoul, after a big Referendum of the Senate. 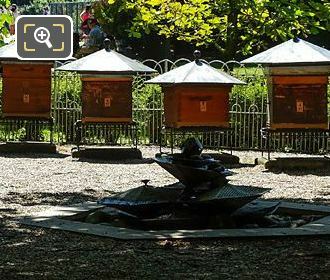 This monumental apiary could accommodate twenty bee colonies, and had a large number of models of hives and beekeeping tools. 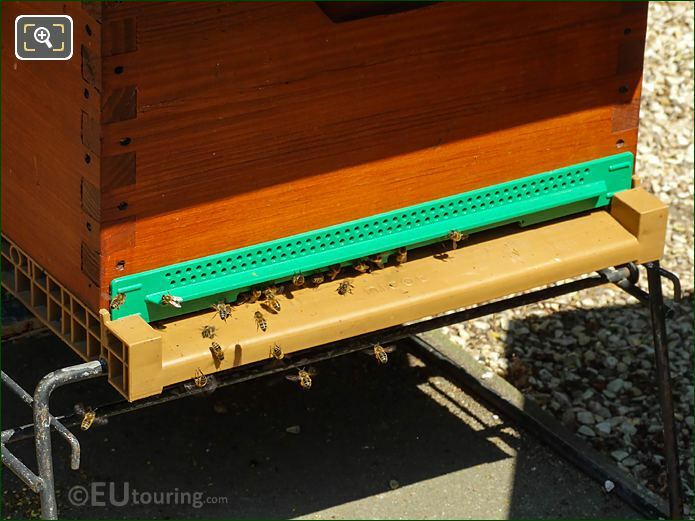 The back part was reserved for auditors and a small field permitted culture of samples of honey producing plants. The destruction in 1866 of the nursery, as a result of Baron Haussmann Planning, led to the temporary disappearance of the apiary, which was restored in 1872 to its current location. Since then, training in modern beekeeping techniques always with a number of listeners, it continues under the direction of the central beekeeping Company. Each year the honey harvest is sold in the orangeries at the time of the autumn exhibition. 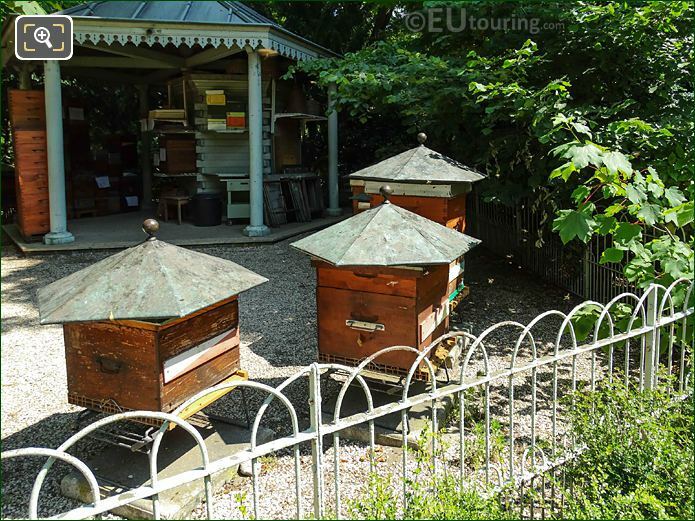 Rebuilt on a new plan in 1991, the apiary-school Luxembourg perpetuates the unusual tradition of an apiary in the center of Paris. Head spin. 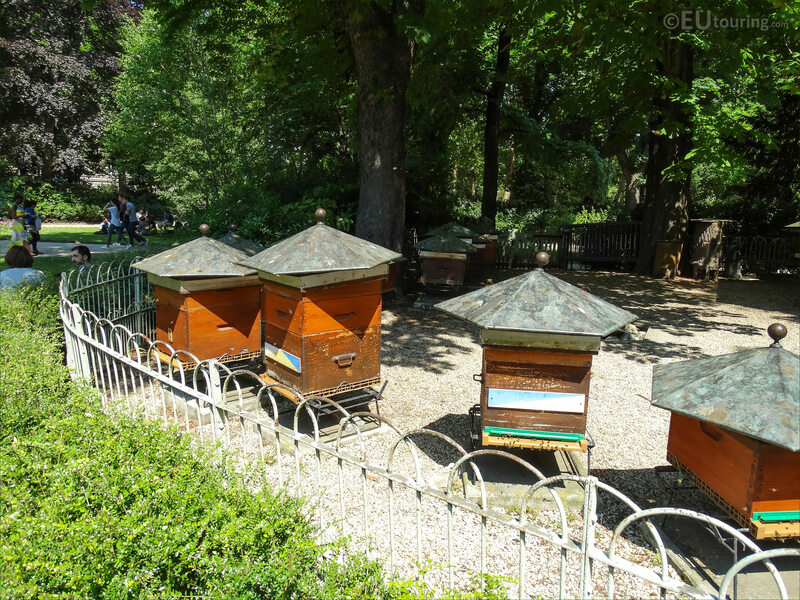 Behind you, you will see trees that bloom with much interest to our bees. Linden flowers whose nectar gives a menthol flavour to honey. The lime has smaller leaves and silvery lime trees are the trees present in the Luxembourg Gardens. 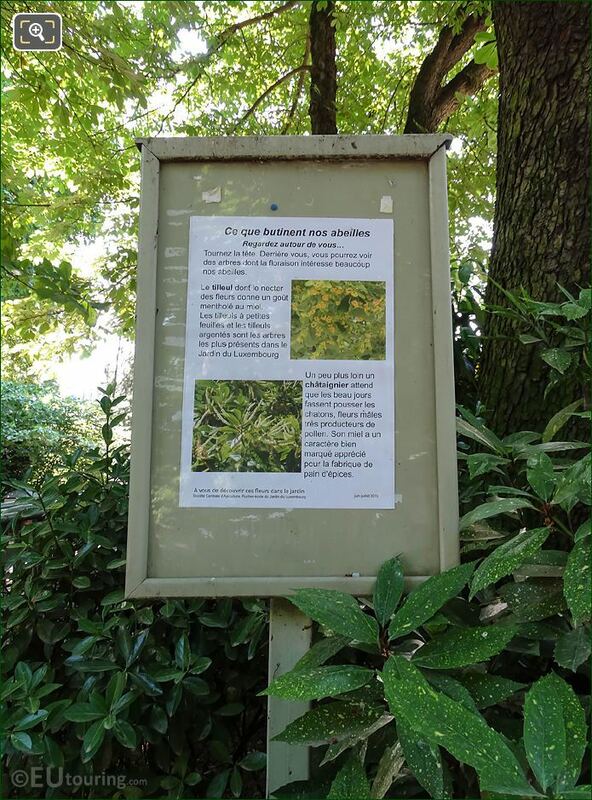 A little further a chestnut expects good days, male flowers being pollen producers. Their honey has a character brand appreciated for the manufacture of spiced bread.